Yes it indeed an absolutely charming film, and it did indeed establish the template for for the great Tati masterworks that were to follow. The qualities that this comedic genius was to be defined by were instituted in this exceptional first film. 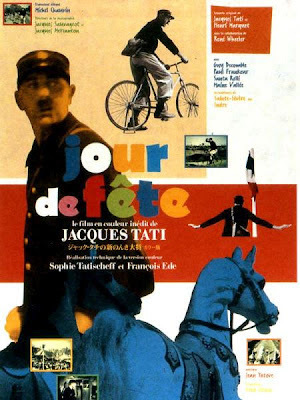 This was a terrific debut indeed for Tati, and great to know that you agree that most of the stylistic, thematic and aesthetic tropes that would define his Hulot masterworks found their germination in this lovely film. Thanks Sam.